More than 20 schools participate in the Winnipeg Jets Hockey Academy after-school program, which is designed for students in grades 4-12. Running for 15 sessions throughout the 2017/18 season, the program mixes hockey skills along with character building, nutrition, goal setting and field trips. In the elementary after school program, students are taught the WJHA’s six pillars of Teamwork: trust, empathy, leadership, hard work, respect, and goal setting. Students also participate in floorball (a European style of street hockey) and receive a meal at the end of each session. 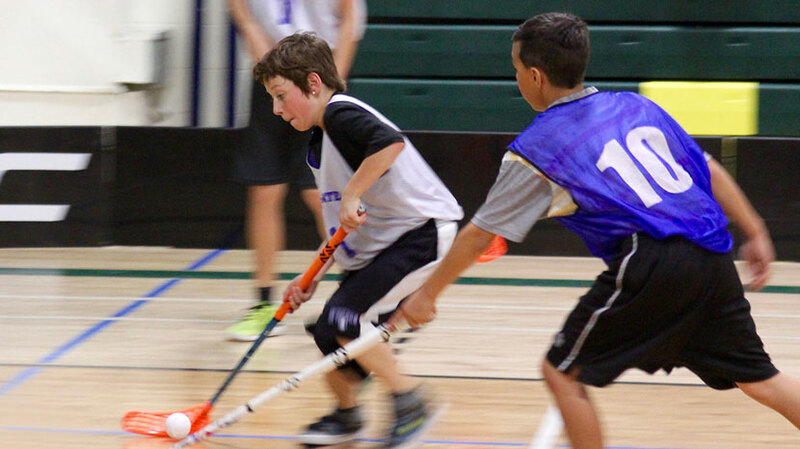 In the spring, all of the elementary schools will come together for a floorball jamboree. During the year students will have the opportunity to go on field trips to the Winnipeg Jets Skills Competition, Camp Manitou for a Heritage Classic hockey game, and to a Winnipeg Blues hockey game to cheer on some of the foundation’s part-time team members. In middle school the focus of the after school program is citizenship and mental and physical health. We teach the students about citizenship by having guest speakers from Special Olympics, Society for Manitobans with Disabilities and Amnesty International. We introduce mental and physical health topics by inviting guest instructors who teach yoga, art and cooking classes. Field trips include a Wesmen Basketball game, Bison Hockey Game, Forks River Skate, Heritage Classic at their local community centre, Canadian Museum for Human Rights, and the Pan Am Clinic Bio Mechanics Lab. This year, the high school program has expanded into eight schools. In two of the schools we now have students ranging from grades 9 to 12. As part of our commitment to our students we have added another WJHA full-time staff member whose role is to help council our students and help them transition from high school graduation to adulthood. We consider it a success if our students graduate on time and are either enrolled in a post-secondary institution or obtain full-time employment. We support the students academically by offering one-on-one tutoring and using past exam reviews to help students prepare for their exams. Students are taught life skills such as resume building, budgeting, paper writing, how to cook a three-course meal, and the importance of physical and emotional health. This is to ensure that beyond academic success, our students are also well rounded individuals, ready to take on the different obstacles that they will experience in life. 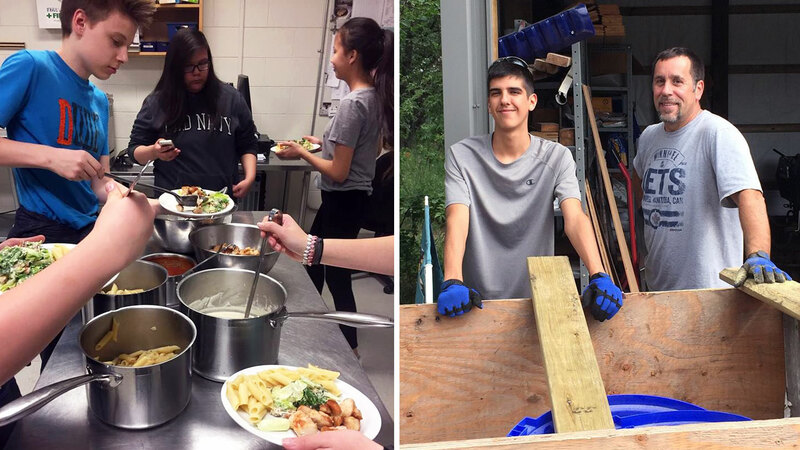 High school field trips include local universities and colleges, the Mint, Skyzone, the Forks, Real Escape, Aviation Museum, Winnipeg Art Gallery, as well as opportunities to volunteer within the community.